It was not until a day later, I got to know what had really happened. That night of the 19th, Dad complained of a chest pain and thankfully they didn't take any chances and drove to the hospital right then. It was discovered that he had blocked arteries and it was decided that a stent be placed in his artery as part of a procedure called percutaneous coronary intervention (PCI), also known as coronary angioplasty. He was kept in the hospital overnight. I am grateful that we got to know in time, before anything worse could have caught us off guard. My Mum was all alone. She called her closest family, my in-laws and stayed the night with them. Knowing my mother in law, a nurturer by nature, I know my Mom was well taken care of that night. The next day my father in law took off from his work, helped Mum with the paperwork and brought Pa home. I am grateful and blessed to have such loving and caring in laws. I am grateful that both my parents stay in the same colony and are there for each other in good times and bad. All this was told to me only a day later, in Dad's cool and passive voice. "I'm fine", he said, as if nothing had really happened. My sister, who is studying in Kolkata was also informed the same way, only after the storm had passed. I held it together while we were on the phone, but broke down in the emptiness of my home, feeling helpless, miles away from them. At the same time I felt grateful that my parents had not returned to an empty home; my relatives were there to greet them with cheer. I am grateful for such a wonderful and loving family, who not just lend their shoulders to cry on but offer a smile to heal the hearts. My parents, especially Pa has always lived a healthy lifestyle - always eating right and in moderation, exercising and actively pursuing his sports. So it is not easy to accept this changed lifestyle, living on antibiotics and a strict diet - I know this is what frustrates Ma the most. But I am grateful Pa is better now, that both of them have joined work and are living with gratitude. I am also grateful that I can speak to my parents everyday and do my bit to make them smile. I don't usually bare my feelings like this. But saying this out loud, thanking each and everyone who was there for Ma Pa that day, thanking the Universe out loud, feels right. So, Thank You. 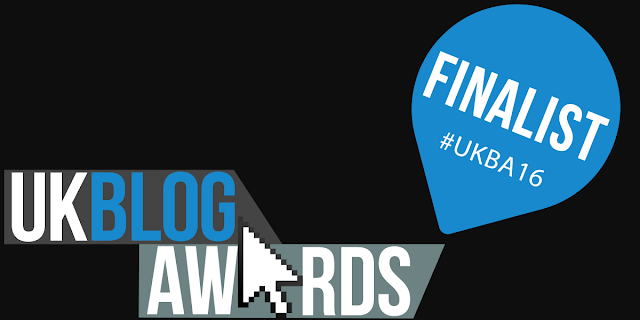 ♥ Getting shortlisted as a finalist in two categories in the UK Blog Awards 2016. I am grateful to each and everyone of you who have voted and to all my readers. Hugs! The enormity of this, is still sinking in. I am just happy and honoured that my name is alongside some of the greatest bloggers and I will get the opportunity to meet and network with them at the award ceremony. ♥ Growing and learning with each passing day as a creative entrepreneur. 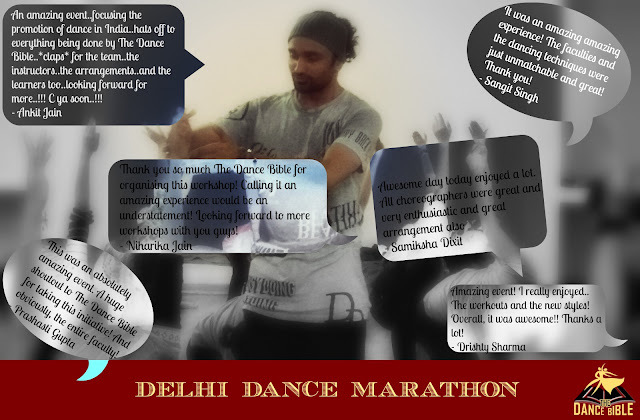 Yesterday, The Dance Bible held its first offline event - Delhi Dance Marathon, and I am grateful that not only was it a huge success but our efforts and intentions were acknowledged and appreciated by all the dancers who attended this workshop. And as always, I am grateful to You dear reader, for being a part of my journey! Dearest Adi , my loving daughter....our hearts are filled with gratitude for the gift of our loving family and friends. Every word of gratitude that you have expressed in this post is straight from your heart and I can feel its warmth. Stay blessed and continue to see and thank God for His grace at all times. Thank you Naba! :) Yes, its not easy especially when you are far away! Thank you so much for your wishes. Big hugs and lots of love. Keep up your positive and grateful attitude; that will give you strength. Thank you so much Jules. Aditi, you got me all teary eyed. Glad your Pa is OK now. My parents underwent similar stuff 2 years back with me and my siblings away in Mumbai. Congrats on the UKblog awards too. Be well. It's difficult being away at times like these...thank you for your kind words! Hugs Aditi! Living far away from parents, such health conditions scare me as well. You are so right, so wonderful that they had the right support and loving people to take care of. Now that the doctors have done the right thing, I am sure your father will get better and will be able to resume his healthy lifestyle. We are truly blessed to have such a strong support system of family and friends back home. Pa is better now. Thanks so much for your kind wishes! I just love that your Mom is the first to comment here! That gives me a wonderful feeling, Aditi! So sorry to hear about your Dad - but glad he's recovering. My best wishes for his good health! Congratulations on your fabulous achievements! Getting shortlisted is not easy! Keeping my fingers crossed to see you listed as winner! Congratulations also for the Dance Bible event! 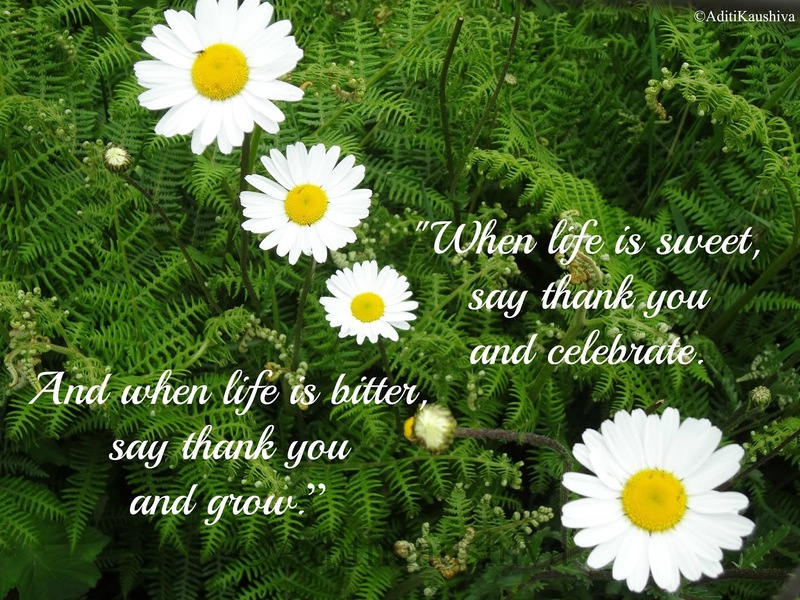 Thank you for joining me in the Gratitude Circle bloghop. Love and hugs to you! Thanks dear :) I've learned and grown so much by practicing gratitude. Your mom's comment just made me cry!! Hugs and prayers for your family. After angioplasty he will be normal soon. Stay strong. My Dad too tends to give us a scare once in a while. He had 99% blockage when he underwent angioplasty last year. Hope you Dad is better now, Raj. Thanks for sharing your experience and your beat wishes. Pa is recovering and hopefully will be back in his best form. Love! Hi Aditi dear, what a scare about Pa! But glad he is recovering now. Nothing beats having your close family around in times of crisis. Especially when one is miles away to be of any immediate assistance. Congrats for making it to the finals of the UK blog awards...awesome girl! The Dancing Bible rocks! All the best dear. Thanks dear! I am truly grateful to my relatives for being their with my parents. It was a big big moral support for them. Thank you for your kind wishes. O you must be feeling so relieved after knowing he's all fine. All the prayers for him and your family. It's with all the parents, they only tell us when they are out of the thing. My mum underwent a surgery and I was informed after she was home, I did feel bad for informing that late but was equally glad she was all fine! Parents will be parents, they always think of us first, no? Yes, I'm glad Pa is doing much better now. Thank you for your kind words. I am so happy for you that your dad is better. I knew what it was like to live far away from parents 15 years ago. Now my mom lives down the road from me. My dad died in '99. I will pray that all continues to go well for your parents. Thank for sharing your grateful heart. Glad to know that your dad is recovering, Aditi. That's one of the downsides of staying away from family. We can never run to them in a moment's notice. All is well, that's what I say to myself all the time to get through difficult times. Congrats on your achievements dear. I can imagine what you'd probably gone through, but I also admire your parents for not wanting to put you through it. As a parent, now I understand those little things that my parents used to do. Glad to know that your father is getting better. And yes, we just have to make the most of our time here. Hey Aditi, so sorry that your parents went through all this. I am glad they had people to take care of them and be by their side. But I know how you would have felt. With my sister living abroad, I could easily feel what you must have gone through. Big hugs! This is the only reason we aren't interested in moving out. Both my parents and in-laws are here in Delhi and close to us. In times of need at least we can rush and reach them on time. My prayers for speedy recovery of your father. Lots of love to you. Take care. Blessings to you and your lovely family, Aditi. Your gratitude is inspiring. I made a pledge to begin each day with gratitude last year and it is amazing how that simple act changes ones life. I know it did mine. Congrats on the shortlist for the UK Blog awards and best wishes on your other projects.